Thank you, Caroline, for taking the time to answer these questions so that our readers can get to know you a bit better! Let's start! Psychic World (PW): What's your name and how you describe what you do? I am a heart flow healer. Being in the Flow is our true state. When you are in the flow of love everything is as it is supposed to be, how you were created to feel and everything will work out just fine, your life seems effortless, and a beautiful journey. I sense into your energies, and feel blocks, that I am ready to release. Old pain or hurt are also blocking our system, so I address those and guide you gently towards forgiveness, letting go and healing. Often, there is a message behind our pain, and once we acknowledge the message, the pain is gone. I also tap into the Universe and connect with Mother Earth, and I channel the messages and energies that are coming through. Caroline: I was born an empath, that means I can easily sense someone else's energy. Of course, as a child and up to recently, I often mistook other people's feelings for my own feelings. Nowadays, I know what is mine and what is coming from others. This gift is my greatest asset. I sense your body as it were mine, and can tap into it, feeling the blocks and pain and am ready to guide you through the healing process. I started with EFT (Emotional Freedom Technique, also known as tapping) and I learnt all about Pranic Healing (Prana the flow of life) the colors and chakras. I always connected with the Angels and the Universe easily, and when I had the chance, I became a certified Angel Intuitive (by Doreen Virtue). I learnt a lot about Assertiveness and being true to myself without hurting others. I learnt to read Akashic Records and a lot the information I receive is revealed through the guides. I love to see the connection to past lives, too. Very often an issue in this life has a connection to our past lives. I still eagerly read and learn new things every day. There is so much valuable information out there, and more often than not it is just that nugget that was needed to help one of my clients. I started my own business nearly 3 years ago. I'm also a full-time Mom to my 3 kids (all teenagers now). Caroline: I love Oracle Cards, very light and loving Angel Cards. I am not using Tarot Cards, they feel too harsh for me. My absolute favorite Deck is the Flower Therapy Oracle Cards by Doreen Virtue and Robert Reeves, as I am also a certified Flower Therapy Healer and just love the messages from the flowers - so healing and so uplifting. I do not necessarily use cards for answers, as I work with my senses, and tune into my clients, and I get most answers from there. Often I see things, and when I convey what I've seen, there is always a great YES coming from my clients, even though sometimes the message does not make sense to me. I trust in what is presented and coming through me, convey being open and feeling the flow of love through me. So an open heart is my best asset. I love to visit my clients Akashic Record. All our information is stored there - not only from this life, but also form all our past lives, and the guides are so happy to assist us. Caroline: I love to work with past relationship pain: Releasing and deeply healing, so you are open to start loving yourself. Only when we fully heal past pain are we ready to move on. Very often, we take on past pain into our next relationship, burdening our new love with old pain and suffering. It is great to have clean slate and be ready for the new, having healed the past. As I am a single Mom to three teenage kids, I love to support single Moms, especially those with older kids, who are finding their new purpose, moving on from being Moms, stepping into themselves more, allowing themselves to receive now, after giving for such a long time. Having gone through a divorce myself, I love assisting other Moms to release past pain and step up for themselves, in learning to be more loving towards themselves and learning to be more assertive by saying YES to themselves. Especially if they have gone through some emotional abuse, were people-pleasers (like myself) who bent over backward to make the marriage work, meanwhile losing a sense for themselves. I also help people with abundance and being open to receive. When we do not feel worthy, when we are giving all of our time and do not allow ourselves to receive anything due to guilt, low self-esteem or upbringing, we can never be open to receive or lead an abundant life. This does not necessarily have to mean only money; it refers to all abundance in our lives, Health, Love, and yes, Money. Caroline: My father passed away in 1994, he comes and visits me in my dreams and helps me to heal and move on, especially from past relationship patterns. I had three near death experiences, and as scary as dying used to be to me, I felt at peace in all of them. I can now tap into the peace and love always present around us. I strongly believe in the after life, and our soul's journey from earthly life to earthly life. I love to bring this peace and love and reassurance to my clients too, when it comes up. Caroline: I am in Central Europe, and a single Mom, so I am online mainly during day-time in Europe, as the evening is my time with my kids. And, of course, I am an intuitive Empath and love my purpose. I'd be more than happy to arrange a special time to chat with you, if you are interested in setting up an appointment. 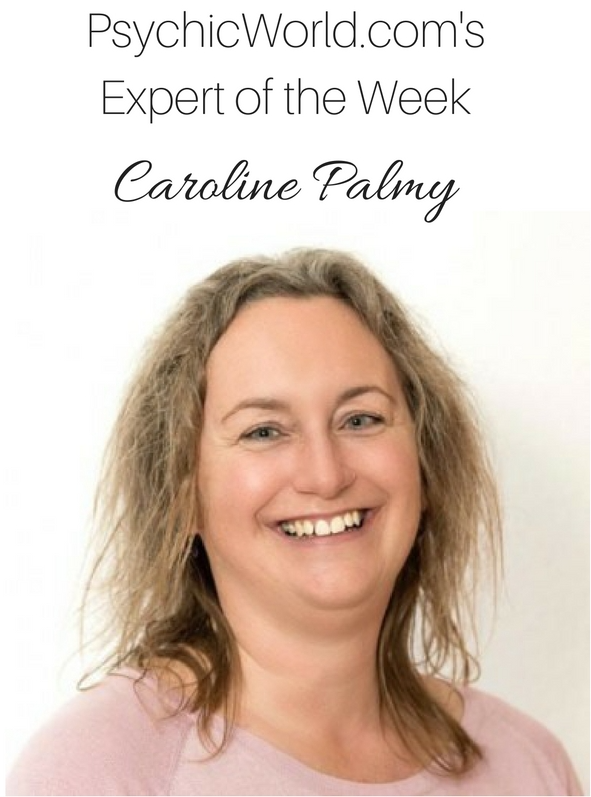 You can either find me online or send me a message via my profile, Caroline Palmy, Heart Flow Healer.